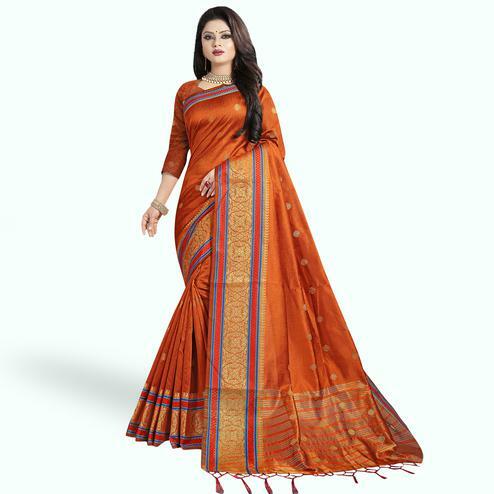 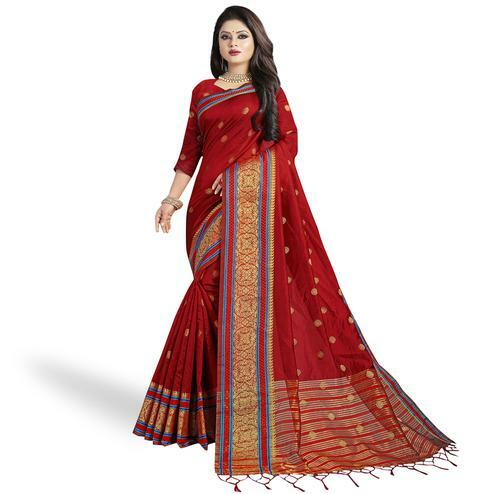 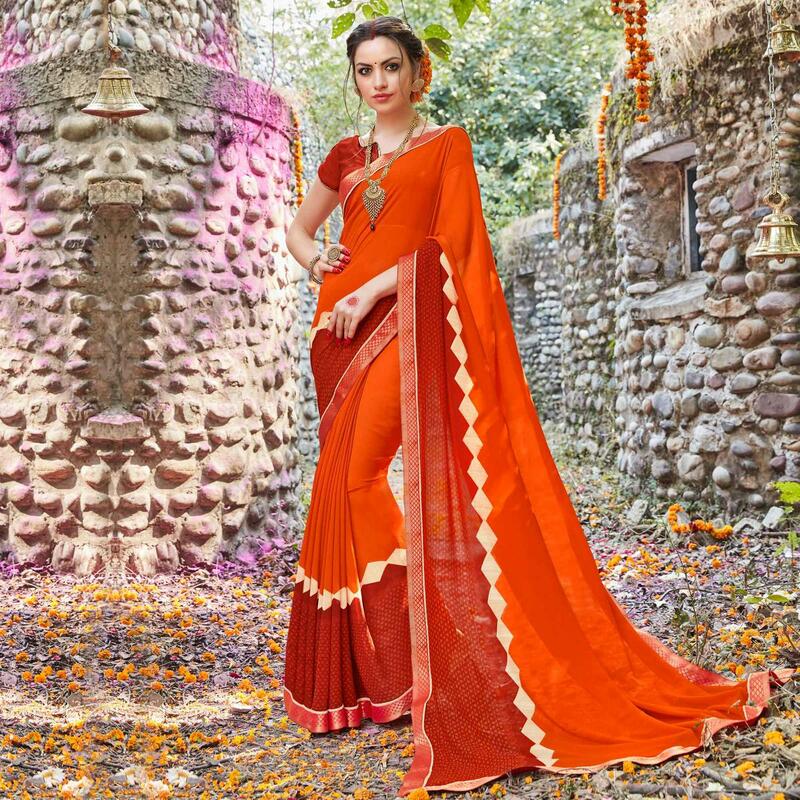 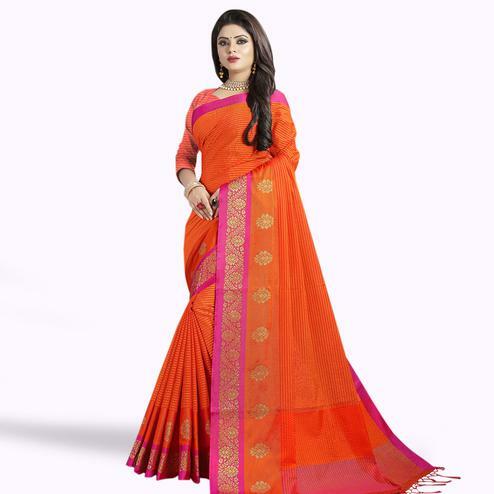 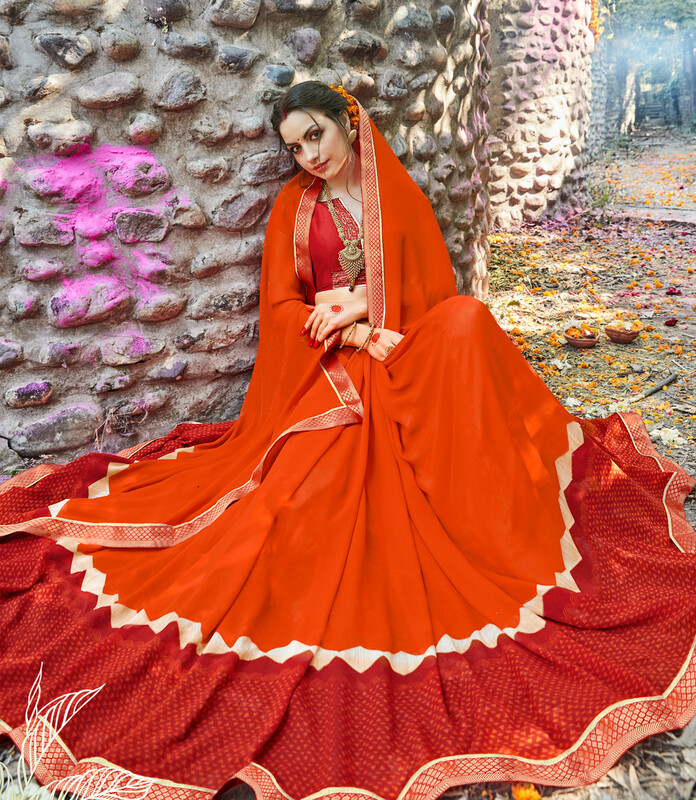 Get an ethnic look on your next social get together wearing this beautiful red - orange color saree. 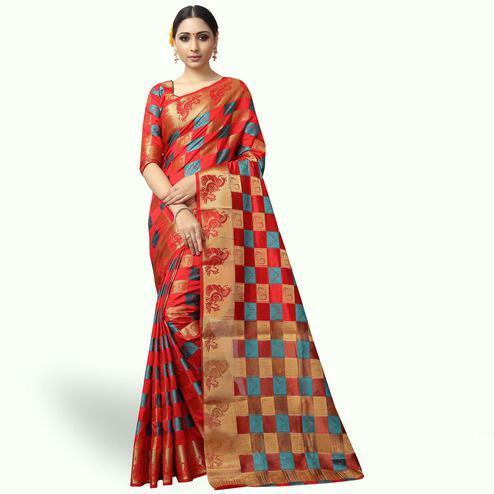 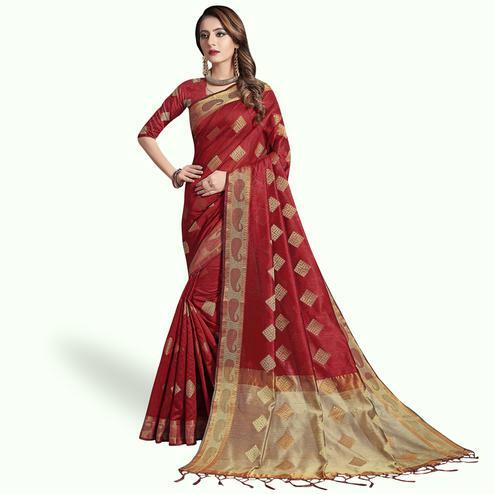 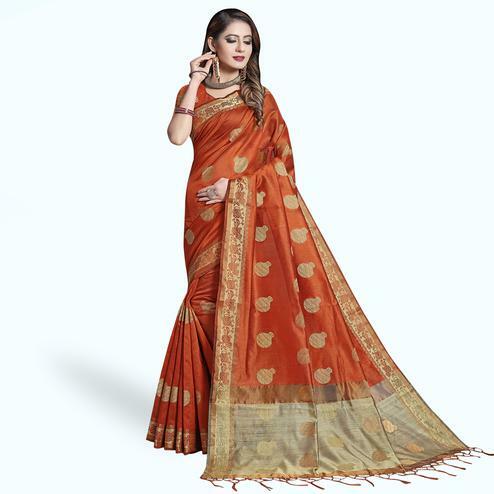 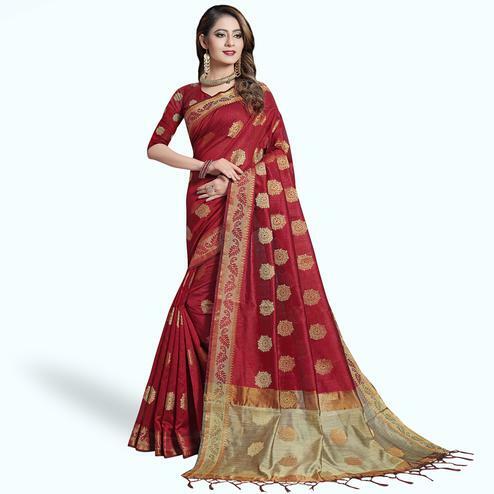 This georgette fabric saree is beautified with geometrical print at lower part and ready made lace border in unique design. 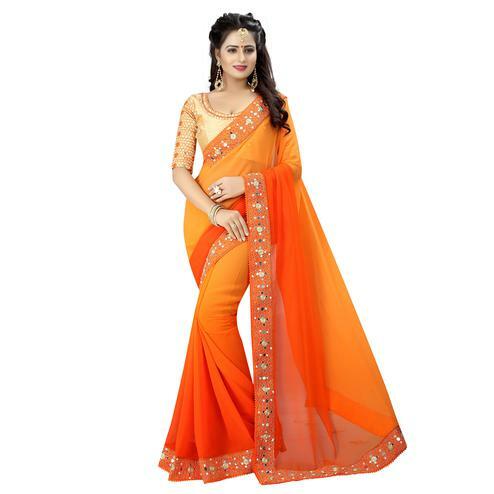 Saree paired with unstitched blouse piece in georgette. 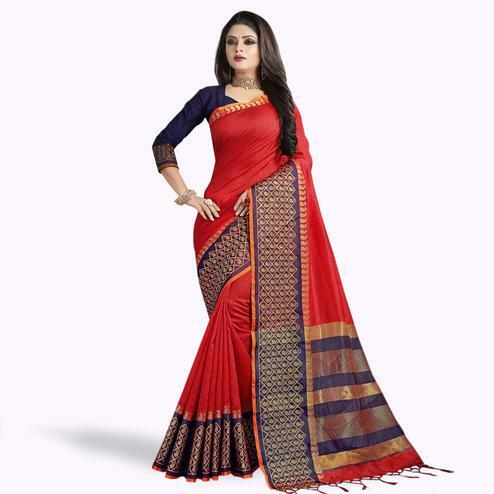 It's a perfect saree to wear for casual outing and get together.